One of the most important work done by engineers, developers, marketing managers and others is to turn their ideas into reality. One of the procedures included in this process is the creation of sketches and prototypes. I use traditional tools (pen 'n paper) when it comes in designing, sketching and prototyping any ideas before I start building them. Pencil Project convinced me that my life would be easier and more "compatible" with other apps. 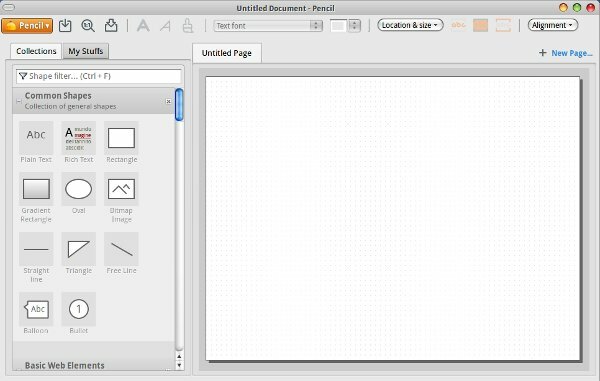 Pencil Project is a free and opensource tool for making diagrams and GUI prototyping that everyone can use. It is a Firefox extension that helps you to lay out and sketch your ideas using a wide range of elements, including common shapes (circles, triangles, squares etc. ), GUI, web elements and more. 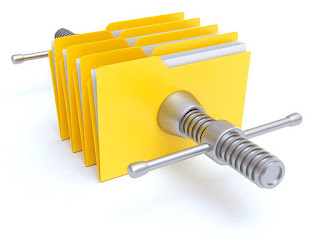 After you have completed your work you can then export it in PNG, SVG, HTML, PDF and ODT file formats to use them in other apps, for adding more features. After you have download it, right-click on the file Pencil-x.x.x.xpi and open it with Firefox. After the installation you will be prompted for restart of Firefox. Then you just go Tools --> Pencil Sketching on Firefox and a new window with Pencil Sketching will appear. As you can see form the above image the left sidebar presents a some basic and advanced elements that you can use in creating in the main workspace by dragging them over the right. 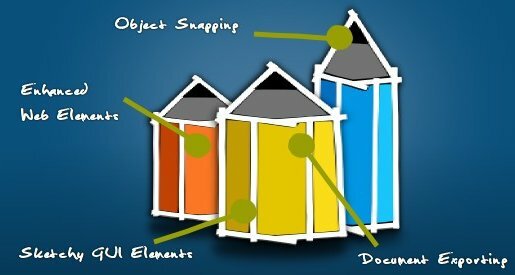 If you right-click o the object you will be presented with its Properties that let you set colors, arrangement, fonts etc. 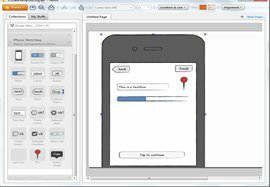 If you are a software / web / mobile developer you will be pleased with some extensive Sketchy GUI collection that provides relevant elements useful in prototyping. You can design interfaces using tabs, progress bars, message boxes and menus. When you are ready your final design can be exported as a document in various formats as I mentioned earlier. Hope you'll love it ! I do trust all of the ideas you've introduced for your post. They are really convincing and will certainly work. Nonetheless, the posts are too brief for starters. Could you please prolong them a bit from next time? Thanks for the post. I was searching such a tool...Thank you!